The Electoral Area 'H' Official Community Plan (OCP) Review kicked off in January, 2016 with an online survey. The first community meeting was held on February 3, 2016 and attended by over 150 people. Phases 2 and 3 included numerous Community Working Group of approximately 30 volunteers to further explored the issues identified including review of drafts of the OCP. The next phase of the project is to begin the bylaw adoption process, which includes readings by the Regional District Board, referral to agencies and First Nations, a community information meeting, and a public hearing. Also as part of this OCP Review an Active Transportation Plan is being created, and a preliminary analysis of the Agricultural Land Reserve boundary is being conducted. Read below for more information on those projects. 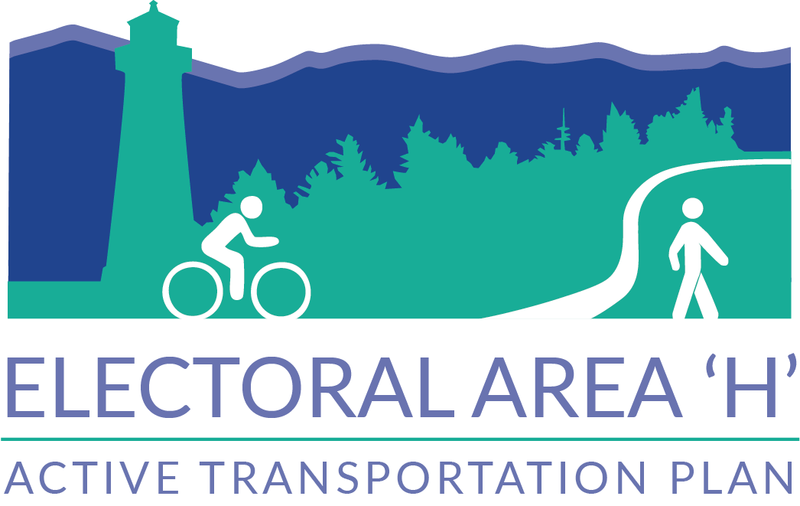 The Regional District wishes to accommodate and encourage active modes of transportation in Electoral Area H as a means to improve community health through increased physical activity and reduce motor vehicle-related greenhouse gas emissions. To this end, the Regional District has initiated development of an Active Transportation Plan, which will ultimately be included in the Official Community Plan (OCP). The Active Transportation Plan sets forth a new approach to satisfying transportation and recreation demand, working toward a multi-layered active transportation network of roadways, trails, waterways, and supporting programs and services that facilitate sustainable, safe and healthy transportation. The AT Plan aims to shift demand to active modes that encourage physical activity and reduce carbon emissions, while building a healthier, more sustainable community. Although there are significant challenges, there are also a number of opportunities that the Regional District of Nanaimo can leverage in order to achieve increased walking and cycling without compromising safety, security and comfort. Visit the Active Transportation Plan website. Final Active Transportation Plan and Appendices. The Regional District of Nanaimo (RDN) has initiated a project to review land that is suitable for farming in Electoral Area 'H'. The project will provide information to be considered as part of the Electoral Area 'H' Official Community Plan Review. One of the primary outcomes of this project is to increase confidence in the accuracy of the ALR boundary in Area 'H'. The project is designed to identify discrepancies and to evaluate land lying within and outside the ALR for its suitability for farming. The project's findings will be used to update existing agricultural data for Area 'H', and will be used to inform the Electoral Area 'H' OCP Review. Further, the information from the study may be used if the RDN were to pursue an application to the ALC for an ALR boundary adjustment in the future. This project does not imply that property will be excluded from or included in the ALR, nor make it easier to develop. The project started in June 2016 and is scheduled to conclude in the spring of 2017. As part of the OCP Review, the RDN undertook an Archaeological Overview Assessment of Electoral Area ‘H’. An Archaeological Overview Assessment identifies areas of archaeological potential through a mapping exercise and desktop review of local and regional history, archaeological databases, and ethnography. In BC, whether they are previously recorded or not, all archaeological sites that predate 1846 are protected by the Heritage Conservation Act. Unidentified archaeological sites exist in many areas, particularly those that are undeveloped, or developed before the 1980s. The report and maps produced through the Archaeological Overview Assessment are filed with the BC Archaeology Branch and added to the provincial database of archaeological sites and archaeological potential models. Staff at the RDN access this database when reviewing development proposals in order to inform property owners and applicants if their proposed development is within an archaeological site or an area with potential for an unrecorded site to be found. A property owner can also contact the BC Archaeology Branch directly to find out if there property contains an archaeological site or if it is in a high potential area.